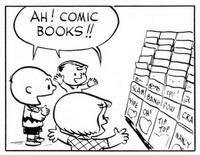 Comics are for everyone, even the youngest readers! 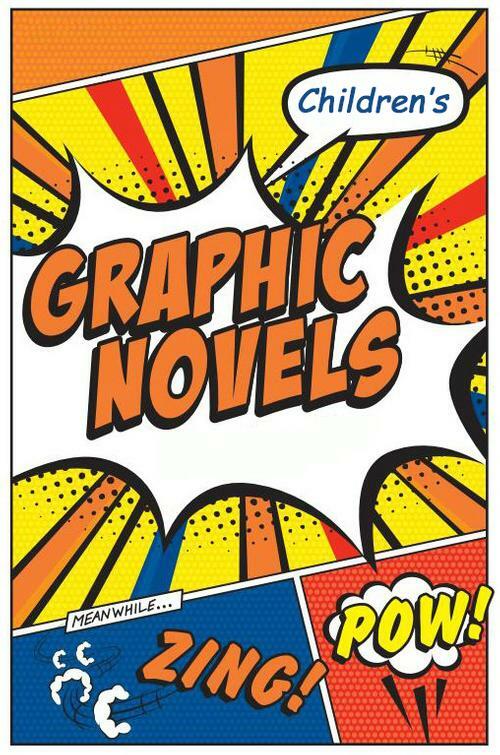 Graphic novels account for some of the most popular children’s books today, are an excellent way to engage even the most reluctant reader, and are accessible to multiple levels of literacy while often featuring familiar characters to help peak the interest of readers. 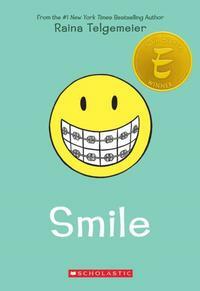 As a children’s librarian, I love introducing and recommending graphic novels, like one of my personal favorites, Raina Telgemeier’s New York Times bestselling book, Smile. I asked members of the Free Library of Comic Con planning committee to recommend their favorite children’s graphic novels. Check out what they shared! "I'm a big fan of Svetlana Chmakova. Her companion graphic novels Awkward and Brave are a perfect depiction of middle school life, with all the ups and downs that come with it. With awesome and diverse characters, relatable situations, and a lot of heart, I'm so excited that's there will be a third one later this year." "What little girl doesn’t dream about having her very own pet unicorn? Phoebe’s wish comes true but with it comes the reality that having a unicorn isn’t all it’s cracked up to be! With dry humor and wit, Simpson creates a fantasy world within Phoebe’s reality. While dealing with friends and enemies in school, Phoebe and her unicorn, Heavenly Nostrils, deal with fantastical creatures and each other. Written in short vignettes, this seven-book series is filled with unicorns, goblins, fun, and adventure!" "With sparse text and deceptively simple illustrations, Phelan transports the reader to 1937 Kansas during the Dust Bowl. In this award-winning graphic novel, the dust itself becomes a character which eleven-year-old Jack Clark must face down defeat. Trying to help his family, he takes it upon himself to fight this evil which is wreaking havoc on his family’s farm. In this gripping novel, a forgotten part of American history is brought to life." "For younger readers, John Patrick Green’s Hippotamister tells the story of the job search of an ambitious hippo who lives in a run-down zoo. I also really like the My First Comics board books series from Jennifer L. Holm and Matthew Holm, the sibling team behind the Babymouse series; I recommend I’m Silly for a tizzy starter comic." "One of my favorite children’s graphic novels is Rapunzel’s Revenge by Shannon Hale – I love its Wild West type setting, I love that Rapunzel is a red head, I love that she uses her braids to fight bad guys, and I love that Calamity Jack is HER sidekick. It’s the adventure/fairy tale/comic I would have wanted to read as a kid." "For any kid who has ever put a sheet on their shoulders and called it a cape, Leon: Protector of the Playground, is a heartfelt love letter to the desire to be a hero—super or otherwise—all while dealing with life as a grade-schooler. Writer/illustrator Jamar Nicholas builds an incredibly fun and diverse world of heroes, villains, and everyone in-between. 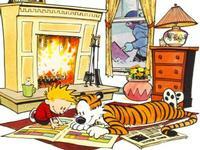 There are so many great jokes and comic book Easter eggs, it’s worth several rereads by both kids and adults." "When first opening up Nightlights, I was already enthralled by the visual style, but what I wound up getting by the end of the short (less than twenty minute) read was a kindred spirit in the story’s protagonist, Sandy. She’s a young person with an innate gift to create and dream in form of her doodles, but who also doesn’t truly feel like part of the group and has difficulties expressing herself in other ways, as well as havingto deal with the insecurities that come with that. Regardless of what you take from it, Nightlights is beautifully drawn, slightly spooky, and an immensely whimsical read, sure to capture the imagination of whomever picks it up." For more children’s graphic novel recommendations, check out this booklist of other children’s graphic novels available in our catalog. Don’t forget to join us for the Free Library of Comic Con happening on Saturday, May 12 at Parkway Central Library. There will be special programs just for children happening in the Central Children’s Department, including a workshop lead by cartoonist and teaching artist Meghan Turbitt. Hope to see you there! Graphic novels account for some of the most popular children’s books today! 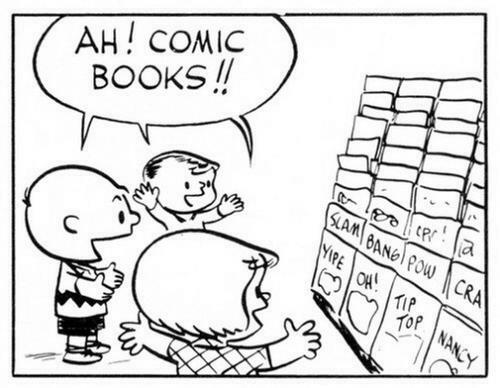 Even the Peanuts gang loves to read comics! 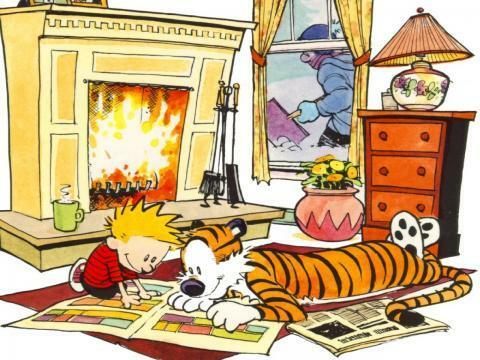 Read comics together with a friend like Calvin and Hobbes!